Galizia, 53, who had published a story on her blog at about 2:35 p.m. local Malta time Monday, was driving away from the home where she lived with her husband in Bidnija, a rural area on the island, in a rented Peugeot 108 around 3 p.m. when the car went up in flames, according to local media reports. 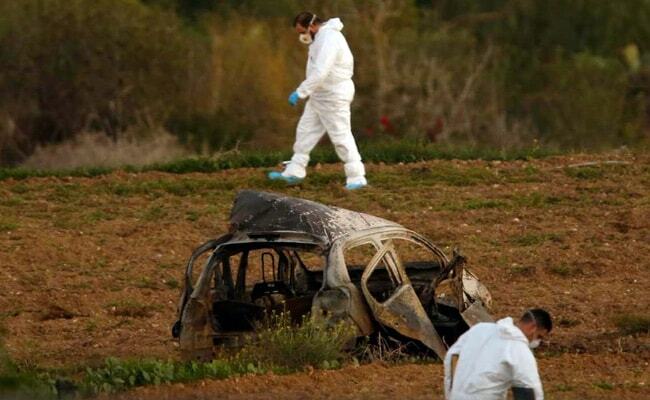 Daphne Caruana Galizia, an investigative journalist and blogger from Malta who was known for her reporting on governmental corruption, was killed in a bomb explosion near her home on Monday, officials say. The blast sent detritus far into the surrounding fields and badly burned the body. Photos showed the Peugeot's mangled shell in a field, dozens of yards away from the blast site. No suspects have been identified in the bombing. In 2017, 27 journalists have been killed for their work so far, according to the Committee to Protect Journalists. Galizia's death was widely condemned by officials and NGOs across Europe and Malta, where the journalist's relentless fixation on corruption, cronyism and political malfeasance had brought her to prominence. "Shocked and outraged by murder of journalist Daphne Caruana Galizia," Frans Timmermans, the first vice-president of the European Commission, said in a statement posted on Twitter. "If journalists are silenced, our freedom is lost." Galizia spent much of her work in recent years reporting on the Panama Papers, the cache of records from a law firm in that country that detailed offshoring activities of powerful officials and companies around the world. Her reporting on allegations about the wife of Prime Minister Joseph Muscat and a shell company in Panama had caused concern during Malta's term at the presidency of the European Union, the Guardian reported. Galizia's focus on cronyism was not accidental, she told Politico after it named her one of the 28 people most likely to shake up Europe in 2017. "I can't bear to see people like that rewarded," she said. Galizia started working as a journalist in the 1980s as a columnist with the Sunday Times of Malta, the Times of Malta reported. She later worked as an editor at the Malta Independent, before writing a column as well. Her blog, Running Commentary, was launched in 2008 and is one of the most popular websites on the island nation. Traffic to her website sometimes swelled to 400,000 readers, nearly equal to the country's population. Her last story was about court testimony that pertained to allegations about Muscat's chief of staff. Other recent stories included a dispatch about what she described was an unpermitted zoo operated by a man she said was a friend of the prime minister and other prominent individuals in Malta. Muscat spoke at a news conference on Monday. "Everyone knows Ms. Caruana Galizia was a harsh critic of mine, both politically and personally, but nobody can justify this barbaric act in any way," he said on Maltese television, according to news reports. U.S. officials confirmed that Malta had requested the FBI's help with the investigation. Galizia had filed recent report with the police about the threats she was receiving, according to news media reports. "Daphne Caruana Galizia was a true investigative journalist. She did not shy from taking on the powerful in Malta's political, business and criminal worlds," said the deputy executive director of the Committee to Project Journalists, Robert Mahoney. "She probed the very authorities who are now charged with finding her killer or killers. For this reason, the investigation into her brutal murder must be beyond reproach. Anything less will send a terrible signal for journalists everywhere." "This is the collapse of democracy and freedom of expression. We shall not be silenced." 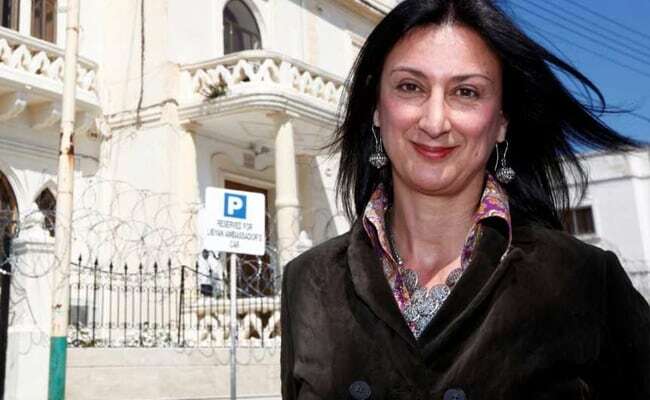 In a sign of Galizia's far reach in the country, the duty magistrate assigned to start the inquiry in the case had previously taken her to court over a libel claim related to stories Galizia had written about her, Malta Today reported. Galizia's family has requested that the country's chief justice remove the duty magistrate from the inquiry, the publication reported. Galizia has three sons, Matthew, Andrew and Edward with her husband Peter Caruana Galizia, according to the Malta Independent. Thousands came out to mourn her at a vigil held Monday night.